…you bring your own stemware to a restaurant. …you refuse to drink out of the box and insist on putting the wine in a glass. Carol Prucha Evans <— oh SNAP, Should I admit that Carol is my mom?! … you post a question on FB and twitter asking what makes other people a wine snob 🙂 Tom Black <– Oh JAB! THANK YOU Twitter and Facebook Fans For… well… writing this blog post for me! 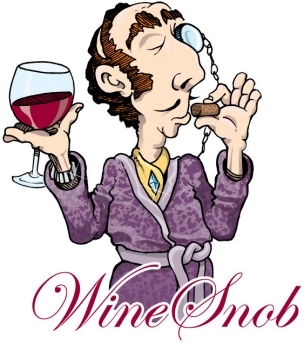 I put the question out there “You Know You’re A Wine Snob When…” and got an amazing response. Any response with an @ symbol and a name after it is the Twitter handle of someone I follow on Twitter. All other responses have a link to Facebook accounts. ‎What a stellar Social Media Community I am involved in! Over the years, I have collected wine stemware the same way I have collected wine itself- by the case. From ‘breathable’ glasses, to the entire Riedel Sommeliers series, which averages $100 a stem (note: there are about 15 glasses in the set). I never stopped and asked myself why it is that I enjoy stemware the way I do. Is it the aesthetically pleasing thin, perfectly hand-blown German, Austrian or Swiss made high end crystal or glass that appeals to me, or is it that it actually does make a difference in the way wine tastes? I have, perhaps wrongfully, assumed that great wine needs a high-end, and varietal specific glass, to be enjoyed. Am I the product of someone’s clever marketing attempts? As a marketer myself, I have really stepped back to analyze my pre-existing beliefs and notions about wine stemware. My order of 4 ‘The One’ wine glasses were delivered today. when I ordered them, I had no idea that the Master Sommelier Andrea Robinson, had only produced one glass for red wines. I figured this was the first glass of many of hers that I would end up adding to my collection. Here are the sentences on the side of the box the stems came in that have me so deep in contemplation right now. “You Don’t Have to Add a Wing to Your House to Store Countless Confusing Glass Shapes. You Don’t Have to Spend More on Your Glasses Than You Do Your Wine”… “Blind Tasting After Blind Tasting Has Proven That [You Don’t Need a Different Stem To Get The Most Out of Each Type of Grape]”. YOW Andrea! Thanks for the inspiration of ‘deep thoughts by Seattle Wine Gal’ that are happening this evening. I must note that I really enjoy drinking wine out of the glasses you designed. I have had a few types of red wine in the glasses, and loved the way the glass complimented each and every one. I can see myself putting these stems in very close reaching distance in my cupboard. I also love the height, and find that many of my glasses, including Champagne flutes, are too tall to store anywhere but the weird drawer above the stove that no one can reach. I am quite honest with my ‘reviews’, so I will admit that I’m not overtly fond of a wine glass that touches the bridge of my nose with each sip, but perhaps my sipping style is a bit crude. I am very happy with all of the questions the glass has raised for me, and judging by all of the comments, it’s a topic that interests a lot of people! All content belongs to Barbara Evans. Please note that I was not paid by Andrea Robinson to endorse her glasses nor was I asked to promote them in any way. Want to bring something besides Chardonnay to your next BBQ? 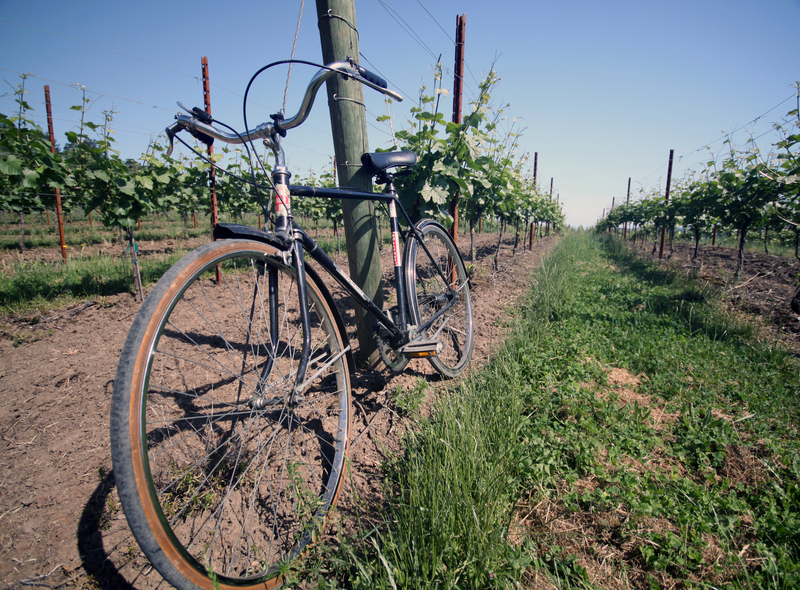 It’s starting to feel like Summer again here in Seattle, so lets talk white Wine! I have been lucky to travel many parts of the world in the name of cheese and wine. During my travels I have discovered all sorts of white wine varietals and blends that I would deem unique Summer Sippers. Here are a few wines that my Twitter Wine Master Minds and I recommend tracking down for swig of something a bit outside the box. Vernaccia (one of my personal favorites). I discovered this little easy drinker while riding my bike through San Gimignano, a little medieval town in Tuscany, Italy. My first taste of it was in the form of gelato flavored Vernaccia, which I admit was not as good as the wine itself. I buy about a case every Summer; most wine shops carry at least one bottle (which usually has dust on it and can be found behind quicker selling wines). Soave (Highly recommended by myself and @YasharWineMongr). This is a wine that Yashar and I have agreed upon as one of the easiest to drink Winter white wines (next to Champagne). For me, it is a year-round sipper that drinks amazingly well with food. Soave is a dry white wine from the Veneto region in northeast Italy, principally around the city of Verona. Vinho Verde (@AtlantaWineGuy): This wine is great for St. Patricks day, and just about any sunny Summer day! It’s a drink now kind of wine that has a green tint to it. Many of my friends think it’s only suitable for white Sangria, but I disagree. I have consumed plenty of $7 bottles of this affordable green wine. Merwah & Obaideh (@RickBakas and @TexasWineGuy). Man oh man, I had to look this one up. These are Lebonese grape varietals that make up wines such as Chateu Musar’s popular white blend. Obaideh has been rumored to be the ancestor of the Chardonnay grape, and has a Semillon-like appeal. And that is just a few! Please add your favorite ‘outside of the box’ white wines in the comment section below… I’m always looking for new treats! ~Some descriptions in this post were sourced from Wikipedia, with links to learn more. Do you think an average wine blogger can really ‘taste’ wine and get a good assessment of it at the Wine Blogger Conference 2010 (#WBC10)? 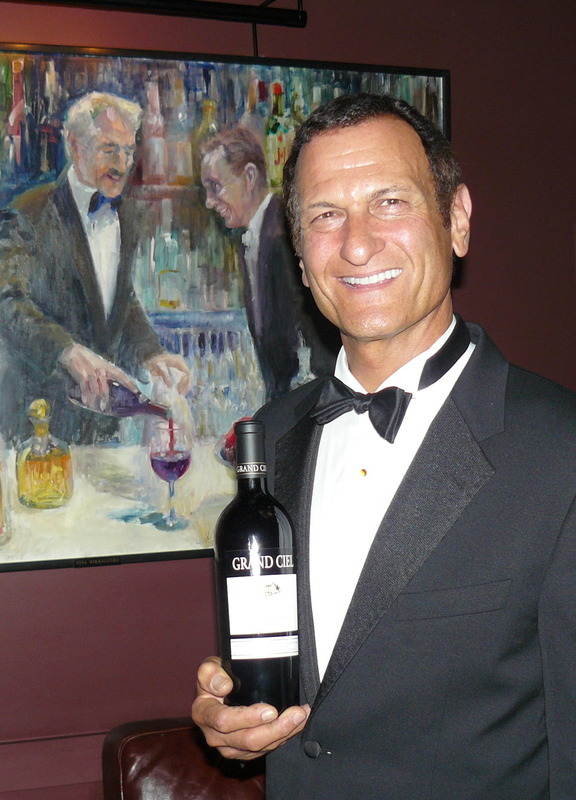 A discussion with Jay Soloff, owner of Delille Cellars (@DelilleCellars on Twitter). Barbara: I tried well over 30 new wines a day at the Wine Blogger Conference 2010 last week. Not only was the amount of wine tastes that were thrown our way overwhelming, but there was a constant buzz of music, conversation and sales pitches, along with a general palate fatigue of 30+ WA wines a day, which started at 9am, and ended well past 10pm. Can a non skilled palate make a sound judgment under these conditions? 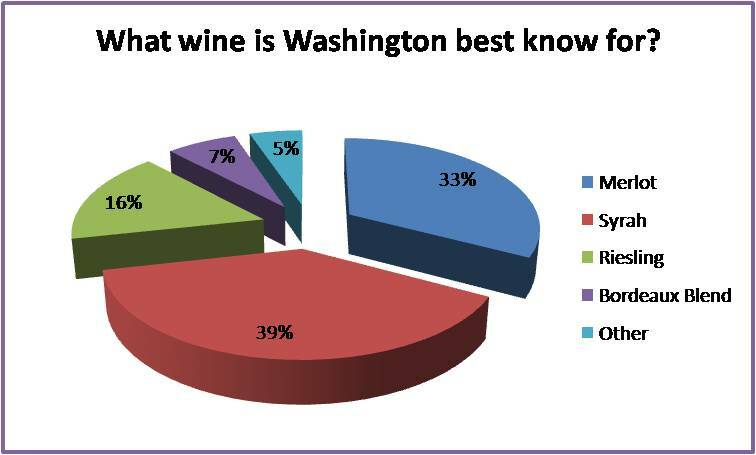 If the point of our tasting is to let our followers in on some best kept #WAWine secrets, is an event such as this effective, as say, an hour in a tasting room or sipping a bottle of WA red with dinner? While at WBC, I avoided any attempt to tweet or blog wine reviews, and wonder what type of assessment could truly be made in an atmosphere of that nature. For me, tasting wine in a crowded room, filled with music, people chit chatting with me about up-coming wine events etc is almost impossible (even with many years in the wine industry, and many trade tastings and events such as Taste WA). The distractions are just too numerous. I decided, instead to focus on the personalities of the wine makers, their history and story, and how I could help them get the word out on their wine. Every wine maker I spoke to, and every wine that I tried did leave an over all impression on me… but man was it tough to make a sound assessment! Jay: Yes, that is something that wine makers/owners think about when at tastings. We at Delille Cellars have discussed our presence at large tastings numerous times, and what it means to us in terms of Return On Investment (ROI). We conclude that we don’t care about ROI at all… not even a little bit when we pour our wines to hundreds of people. We can’t weigh the value of any of our marketing effort, our aim is just to be accessible! You never know today what participation will yield down the road. What you give is what you will get. Not everyone we taste on our wines in a crowded, distracting, room will take away what we really want them to (a great introduction to our wine), but they may take with them the experience, a bit of our history, and the ability to have asked me direct questions. Barbara: That is so perfectly ‘wine’. The wine industry is particularly unique to me in that you are selling more than the juice. You are selling a lifestyle and an experience. It seems similar to what you are saying to having a presence at a large tasting. I am glad to hear that you don’t need to measure the results of giving tastes of your wines to people, such as the Wine Blogger Conference. This leads me to ask you a question about why Delille doesn’t seem to be investing much in Social Media. 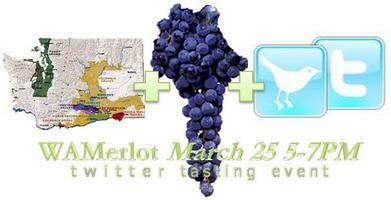 Why is it that wineries are apprehensive to use that same ROI marketing concept with Social Media? Jay: Wow… that’s a very great point Barbara, Social Media marketing has been sitting in my gut as something we need to do. Unfortunately, there are 4 owners, not just me. Barbara: We’ll talk about that next time we meet for muffins Jay. Thanks for answering my questions. I would like to hear more from the people that feel they are able to make a sound judgment about the wines tasted in this type of environment, especially during ‘speed tasting’. For me, WBC was a great way to learn about new wineries, places to eat and stay etc as a way of steering my followers to new cool things. As for getting a good grasp on the wines that were poured, I may have to buy them all and taste them one by one in my kitchen with dinner! * See Below for Information Regarding How YOU Can Purchase Some of Cliff’s Collection at a GREAT Discount! I have known wine makers, Sommeliers, Master Sommeliers, Certified Wine Educators, General Managers/owners of 5 star dining establishments, and pretty much anyone I could introduce myself to in the wine industry. The inter-workings of the industry are very well known to me. What is not, however, is the consumer side of wine. Sure, I know people who have beautiful collections, fine dining parties, and even some who sip Cristal with lunch like it’s water (though I have yet to be invited along). What I have never tapped into until now, however, is the deepest layer of consumer that can be found. I call it Obsessive Collective Disorder (OCD), and I finally got to meet a fellow who’s been hit by the bug! While many of us in the industry are completely enamored by them and their very mysterious existence, the normies may consider them over the top, and just plain eccentric. *Email Cliff at cfchung@comcast.net for Information About the part of His Collection He Is Selling! “From the mid 2000’s till 2009 I bought 95% of my wine from Garagistewine.com, after a friend recommened I check out it’s website. I did and was hooked after that. 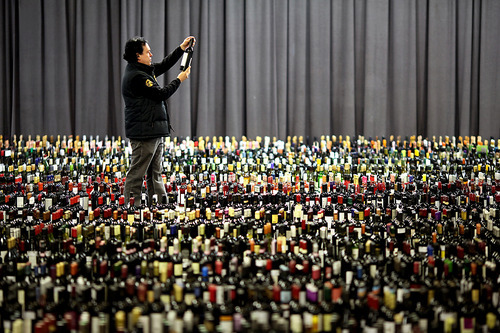 So now I have about 9000 bottles, 3400 of which were purchased fro Garagiste over the last 4 years”. “I buy bang for the buck wines that can age. I didn’t but to be a collector, but a drinker and sharer of wine. People point out that I can’t drink all that wine, but when i past on, someone will inherit a nice stash of wine”. “People drink wine too early and too fast at meals. We look for instant gratification. Open the wine, especially reds an hour or two before the meal, decant if needed, pour into a glass to let it breathe, sip while you cook and notice how the wine flavors and aroma evolve”. “Make friends with the venues that sell wine. Some local food stores have great discounts available”. “There is a glut of wine out there. Many bargains to be found. And winemakers throughtout the world are getting better at making good to great wine at good prices”. The tale of anyone who manages to map their way back from distress or misfortune seems always worth repeating. We love the comeback story, the person who in spite of whatever crap got dumped into their life just didn’t see failure as an acceptable option. They played it out. That’s Barbara Evans, or as many of us have come to know her, Seattle Wine Gal. Seattle Wine Gal is the Twitter name and emerging brand that is becoming a sort of Internet/Wine pop culture phenomenon. Her number of followers, in a very short period, has sprung to almost 5000 and her web site look and content could be best described as guerilla minimalist. It is at once both substantive and irreverent with no shortage of attitude and charisma. Evan’s is a study in survivor strategy and balls out determination. From a childhood depression and a learning disability comes a young woman with 7 years of TaeKwonDo experience at traveling tournament team level, roller derby girl, MA is Social Anthropology, aviation and pilot training with a final touch down as social media advocate/wine babe. In short, she’s one of the important faces helping transform the ever youthful wine landscape. Our interview with her comes at a time when her work load and popularity are growing rapidly. When you look back to when you first began enjoying wine, did you ever have a eureka or Sacre Bleu! type moment where you realized wine was really special and what was the wine that came with that moment? People love asking wine lovers “what was the bottle that turned you into an enthusiast”. Many wine lovers think up some super expensive First Growth Bordeaux or fine Champagne as the bottle that ‘did it’ for them… don’t believe them! I have asked this question to hundreds of people, and after some coaxing have learned that most wine enthusiasts discovered that wine was special when they bumped the price point from $8 to $12! I believe there are scads of “eureka” moments in a wine lovers life, all which make it more difficult to go back to that $8 bottle. As for me, I used to drink boxed wine. After “splurging” on a $15 of Tempranillo, I couldn’t drink the boxed wine anymore. My second Eureka moment came when someone bought me a bottle of 1999 Sanford Pinot Noir. After that I began working at a wine shop, attending seminars, and eventually traveled the world in the pursuit of wine! You’ve managed to overcome a great deal in your life. The journey from young girl with a learning disability to licensed pilot, SCUBA certification and ultra marathon runner with an MA in Social Anthropology isn’t typical. What is it that burns inside you as motivation? Yes, my past surprises people. I openly admit to having had a rough adolescence. I had severe depression and behavioral problems, which led me to “special kid” classes/schools, learning disabilities, and other problems which I will not mention (but thankfully overcame). I have always tried to keep my head above water and be a good kid who got good grades. To get a B, I tried a hundred times harder than many of the A students. After years of struggling to keep up, I developed an unintentional, systematic hyper drive sense of motivation. As life got easier, the hyper drive that barely kept my head above water started propelling me above and beyond. I guess I never really noticed (and still don’t) where this unique inner flame to push life to the limits leads me. What is it about the integration of social media with wine that brings you to this level of passion and fun that you chose to carve out a career in it. I never intended to start a business after ‘creating’ Seattle Wine Gal. One Year ago, I worked for a large online retail company. I created and managed their Social Media program. I was given no resources to learn how to create a winning campaign, and I had no background in business. I poured my own money into educating myself and spent hours and hours of my own time mastering SEO, analytics, and basic platform tech skills for this campaign. Just as I began to see real success, and a positive Return On Investment, I was let go due to a merger with another company. It was then that I decided to push the limits with what I learned. I created Seattle Wine Gal as an experiment. Everything that I wanted to do working for corporate, but was not ‘allowed’ to, I did with Seattle Wine Gal (from dropping the F bomb occasionally in my tweets, to pics of me guzzling expensive wine out of the bottle on my Facebook page). I found that people were tired of the same old ‘wine review’ style wine bloggers, and drawn to my style. Along the way I began to see the wine industry struggling to tap into one of the most sought after customer demographics right now… young wine drinkers! Wine makers and shop owners, as well as Seattle restaurants began calling on me to help them with their Social Media. Trading my know-how for wine and food wasn’t paying the bills, so I started my own business BeRealTime and do business as Seattle Wine Gal. Do you believe that social media will reach it’s true potential in terms of engaging consumers with products? At least in the wine world it seems that so much social media bandwidth is spent with company’s and brands engaging each other more often than the consumer. Yes, there is a very fast shift from traditional marketing to social media marketing right now, and there is no sign that it will ever go backwards. This seems to be very scary for the wine industry. They know that they need to get involved, but have no idea how or why. I see a lot of heal dragging, but I also see just as many people adopting these new marketing tactics. As a company, it is very easy to get caught up in only engaging online with other companies like your own. To maximize Social Media efforts, businesses need to be dialed into their target audience i.e. their potential clientele. Extend your reach, find new people, and always be other focused. No one likes a product pusher (snore). I strongly advise business owners to get on board as quickly as possible. You get what you give; dedicate some time and effort to Social Media… the return on investment may shock you! You’ve opted for a minimalist look for your site and turned away the recommendations of some who have urged you to upgrade its look. Why do you resist those urgings? Part of this marketing shift I spoke of above is a consumer appreciation for raw, gritty, human presentation. People are tired of high production values and clean shiny print ads. At the same time Reality TV became popular, so too did reality marketing. It’s all about content. I am going to create a webpage soon (using zero dollars), but ultimately feel that it is completely unnecessary. I also feel webpage’s them selves, and text blogs (no offense) are beginning to lose interest and will fail to capture consumer attention. I am focusing my efforts more on video, and just started a fun new Youtube channel. For businesses too busy to write text blogs, I highly recommend getting into video. It’s easier and is the direction Social Media Marketing is headed! As for webpages, they are like a business card- a completely stagnant advert unless you work to bring it to life (badges to your YouTube channel, Twitter, Facebook etc). The new target audience is more likely to find your Facebook or Twitter page than your website.